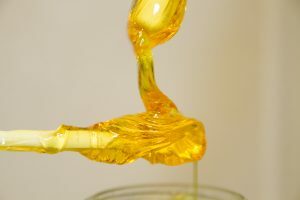 Concentrates are known by many names such as shatter, crumble, honeycomb, BHO, dabs and most commonly wax. 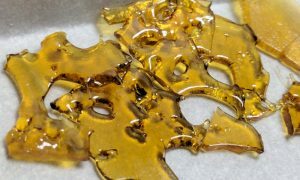 Smokers named Wax after how it looks, and it is also the most potent form of marijuana currently available on the market. 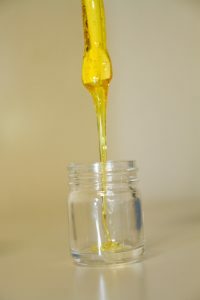 This concentrated form of cannabis often has an aesthetic extremely similar to that of beeswax. Crumble is a byproduct of cannabis that yields up to 80% pure THC upon extraction. Tokers often refer to this elevating goop as ‘dabs,’ because they only need a small amount to achieve the extremely potent effects of THC. It is important for smokers to note that making wax is extremely dangerous. Hence, WeGrow does not condone making the golden glass at home. Furthermore, making wax at home can yield you a chemical-laden byproduct, explosions, and consequently fatalities. If you are blowing butane through your cannabis, the process is quite flammable. Therefore, only ‘Blasters,’ or cannabis experts who are tenured in making these strong extracts should attempt to create it. The filtered butane is pressurized, or ‘blasted’ through the cannabis via a pipe yielding an amber or golden extraction of THC. The product is now Butane Honey Oil, or BHO. It can be hard, requiring a breaking, giving birth to the term shatter. On average, it takes approximately one ounce or 28 grams to make an eighth. 3.5 grams of shatter. This is why shatter is extremely potent. WeGrow recommends that you only purchase your dabs from a dispensary. Although you can buy cannabis from a dispensary in some legal states at 18, ‘dabs’ can only be purchased by adults who are 21 years or older. Users can purchase Wax, shatter, honeycomb, marijuana oil etc., from a dispensary. As mentioned earlier, cannabis connoisseurs must be at 21 years old to purchase dabs. Dispensaries will usually have the name of the cannabis strain on the package used to identify it. Pure forms of THC range from $45 per gram to $80 a gram considering the state in which you reside. What Should I Expect When ‘Dabbing’? 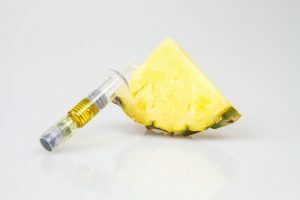 Smokers use a bong (water pipe) or vaporizer to torch a small amount of wax (a dab), then ingesting the contents. Most importantly, users should expect to be cautious with the amount of wax they portion as they will become extremely high. You won’t need to purchase a lot of it! Rest assured 0.2 grams of the potent extract will grant you a smooth first experience. And finally, as the old saying goes: only a dab’ll do you! Follow WeGrow to stay informed on concentrates such as wax, green news and all other things cannabis!